Color is one of the most important elements of your home decor, and you won’t get very far in designing a remodel or even a light makeover without first choosing a hue to anchor the room. Feng shui decorating principles have been aiding homeowners in creating functional, inviting spaces for thousands of years — and they can help you narrow down your color choices to create a particular “feel” for any room of your house. Here’s what you need to know to make it work for you. Feng shui is the ancient Chinese art of balancing the flow of energy through your home. One important aspect of feng shui has to do with different elements and their associated colors. The right color can enhance different areas of your life, so you may want to consider using them in particular rooms of the house where you could use some positive energy. The fire element is associated with life energy, passion and love. It promotes activity and increases the heart rate, so use red in places where you want to feel fiery and alive, particularly where you socialize or work. Red is also great for romance, though pink is a good substitute for a more restful bedroom. The water element is flowing and gentle, allowing money and resources to flow into your life while flushing out that which no longer serves you. These cool, calming colors allow you to focus on contemplation and purity, so they can be ideal for a home office, a spa-like bathroom or media room where you go to relax and get away from it all. Like a sturdy tree, the wood element represents growth and transformation, particularly in the area of your good health. The kitchen could be a wonderful place to add green or brown to your decor to inspire more healthful eating. Wood often represents creativity and personal change as well, so consider it for any area that could use a bit of inspiration. 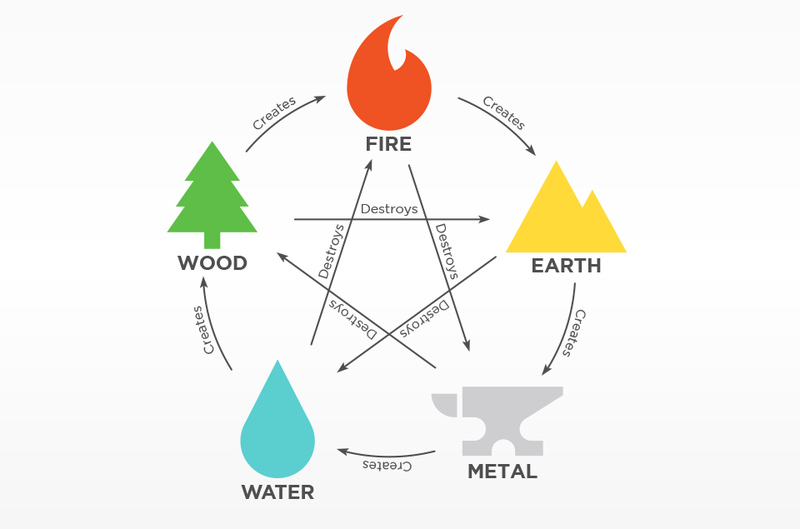 The earth element is all about stability and protection. Earthy colors like golden yellow, taupe and beige evoke the feelings of trust and nourishment, making them great choices for rooms that are focused on the family. Consider these shades for your great room or for children’s bedrooms. The metal element represents clarity, productivity and mental energy. Clean whites and grays will help you focus, so use these hues in a home office or anywhere you need to concentrate and add a little discipline to your life. There’s more to feng shui that just color, but it’s a great place to start if you’re trying to create a certain mood in your decorating scheme. For more decorating inspiration, be sure to follow our blog!